RMIT University’s School of Economics, Finance and Marketing has evolved to become Australia’s largest multi-level post-secondary educational institution, priding itself on providing practical, relevant, and innovative programs that prepare our students to be ready for life and work. The School’s research groups include the Behavioural Business Lab, Placemaking Economics Group, Health Economics Group, International Development and Trade Research Group, Economics of Religion Group, Consumer Culture Insights Group, Consumer Wellbeing Research Group, and the Market Behaviour and Strategy Research Group. Monash University’s Department of Economics has a vibrant research atmosphere in both theoretical and applied economics. The Department boasts more than 50 tenured economists undertaking work in virtually all major fields of economics. Its particular strengths lie in development economics, behavioural and experimental economics, and macroeconomics, but with considerable heterogeneity in topics and techniques used. Monash’s international reputation is supported by its Excellence in Research for Australia (ERA) rating. Members of the Department have a distinguished publication record in numerous leading field journals as well as general interest journals, including the profession’s most prestigious outlets. Economics provides training to student in logical thought and analysis which can be applied widely in every-day decision making. The Office for Women within the Department of the Prime Minister and Cabinet works across government to deliver policies and programmes to advance gender equality and improve the lives of Australian women. Its current priorities encompass: strengthening women’s economic security including women’s workforce participation; supporting more women into leadership positions; and ensuring that women and their children are safe from violence. The Office for Women provides strategic policy advice and support to the Prime Minister and the Minister for Women. The Economic Division within the Department of the Prime Minister and Cabinet contributes to providing high quality advice and support to the Prime Minister, the Cabinet, Portfolio Ministers and Assistant Ministers to achieve a coordinated and innovative approach to the development and implementation of Government policies. The focus of the Department of the Prime Minister and Cabinet, in simplest terms, is to find new ways to improve the lives of all Australians. The Australian Government Department of Jobs and Small Business is responsible for national policies and programs that help Australians find and keep employment and work in safe, fair and productive workplaces. The Department of Jobs and Small Business works to two Ministers, the Minister for Jobs and Industrial Relations and Minister for Women, The Hon. Kelly O’Dwyer MP, and the Minister for Small and Family Business, Skills and Vocational Education, Senator the Hon. Michaelia Cash. 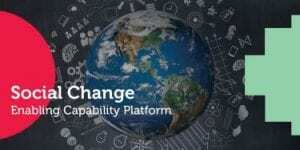 RMIT University’s Social Change Enabling Capability Platform (ECP) supports research that makes sense of human progress and enables governments, businesses and communities to respond in ways that benefit and strengthen society. The Social Change ECP particularly focuses on: health and social policy and practice; mobility, migration and security; digital society and economy; and transformations in work. The ECP is committed to working with research partners to improve public policy and social outcomes, and to inform public understanding of social change. 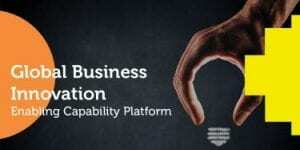 RMIT University’s Global Business Innovation Enabling Capability Platform (ECP) aims to deliver impactful research to drive improvements in the innovation capabilities of private and public sector firms and drive research-driven change to unlock the value and impact of innovation within Australia and worldwide. The Global Business Innovation ECP’s scope spans across a range of topics, including organisational forms; governance mechanisms; business model and partner selection for innovation; managerial practices conducive to innovation; adoption and diffusion; characteristics of innovators; and regulation, performance and impact, illuminating the value and importance of innovation in all its facets. The Victorian Women’s Trust is an independent advocate for women and girls. With a thirty-year tradition of progressive philanthropy, the VWT is one of the oldest women’s funds in the world. Through its annual grants, targeted research, education, policy submissions, and events, the VWT promotes true gender equality and advocates for violence prevention, fair wages for equal work, and the equal representation of women and men in the decision making processes that shape our lives. The VWT firmly believes in the power of the collective: by joining together today, we know that we can make a better tomorrow. The Productivity Commission serves as the independent research and advisory body for the Australian Government across a range of economic, social and environmental issues affecting the welfare of Australians. The core function of the Productivity Commission is to conduct public inquiries at the request of the Australian Government on key policy or regulatory issues, operating independently and adopting a community-wide perspective. The Commission’s transparent processes allow for public input and feedback through hearings, workshops and other consultative forums, and through the release of draft reports and preliminary findings. In addition to public inquiries, the Commission undertakes research at the request of the Government, conducts performance monitoring and benchmarking to government bodies, and undertakes self-initiated research and annual reporting on productivity, industry assistance and regulation issues. One of Australia’s major philanthropic foundations, the Ian Potter Foundation aims to support and promote a healthy, vibrant and fair community for the benefit of all Australians. The Ian Potter Foundation makes grants nationally to support charitable organisations who are working to benefit the community across a wide range of sectors, including the arts, environment, science, medical research, education and community wellbeing. Through its grants, the Ian Potter Foundation seeks to encourage excellence and support Australia’s talent: the visionaries, social entrepreneurs, scientists, academics and researchers, artists and teachers, and those who dedicate themselves to bettering our communities for the benefit of all. The Centre of Policy Studies (CoPS) at Victoria University, specialises in Computable General Equilibrium (CGE) modelling. CoPS undertakes academic and contract research and software development, conducts training courses in CGE modelling and offers graduate student supervision. CoPS’ suite of economic models includes several detailed, dynamic CGE models of Australia, which have been used to analyse many economic policies, including changes in taxes, tariffs, environmental regulations and competition policy. Its CGE simulations underlie detailed forecasts of labour market demand and income distribution. Versions of CoPS’ large-scale economic models have been developed for over 25 countries and its economic-modelling software, GEMPACK, is licensed to users in around 70 countries. The Victorian Health Promotion Foundation (VicHealth) is a pioneer in health process – the process of enabling people to increase control over and improve their health. Its primary focus is promoting good health and preventing chronic disease. VicHealth’s vision for gender equality is a Victoria where everyone can realise their full potential for health and wellbeing, regardless of gender. 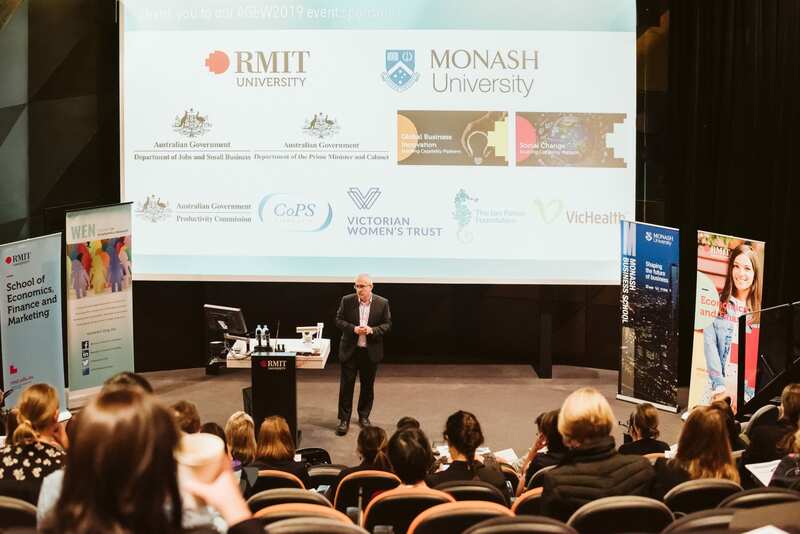 VicHealth’s work is about finding and delivering solutions that build the social, economic, political and cultural foundations that enable women and girls to participate fully and equally in all aspects of their their lives.